We are always on the look out for more affordable properties. 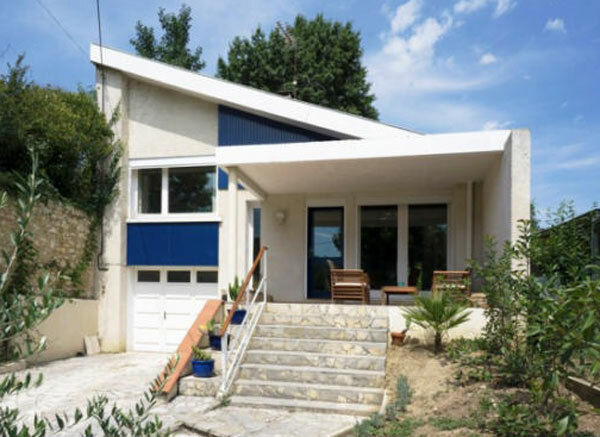 So thanks to James for letting us know about this 1970s modernist property in Fleurance, south-west France. We don?t really know the area, aside from its location on a map. But the agent adds that the house is in a ?very pleasant residential area? and only a few minutes by foot to the centre of this particular market town. And if you like the house too. That dates from 1972, the work of a ?well-known architect? (no name given) and by and large in original condition. We love the angled roof and once inside, the angled timber ceiling too – with other timber-clad ceilings in other rooms too. But this isn?t quite a time capsule. You?ll be thankful that someone sorted out the rewiring, the double glazing and the loft insulation once the temperatures drop.